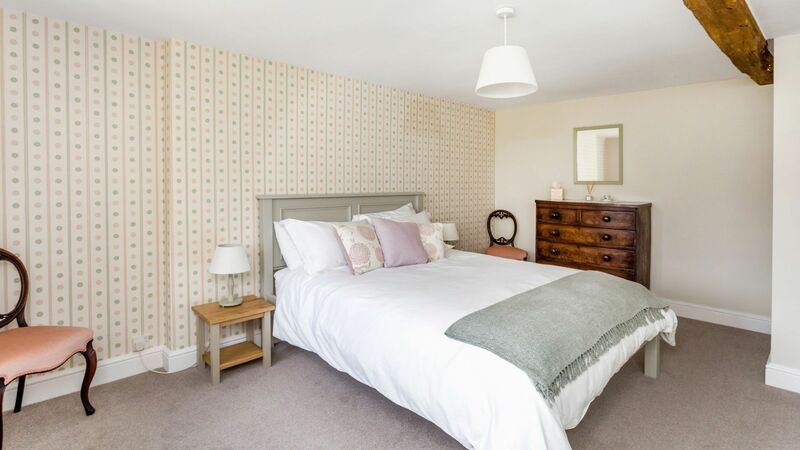 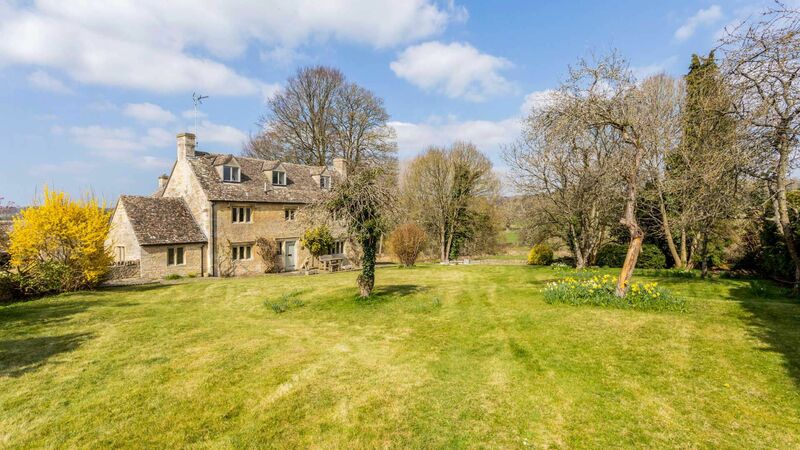 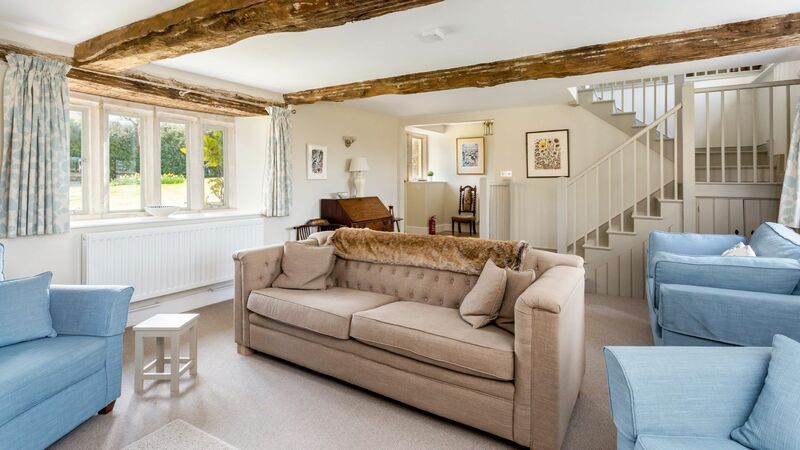 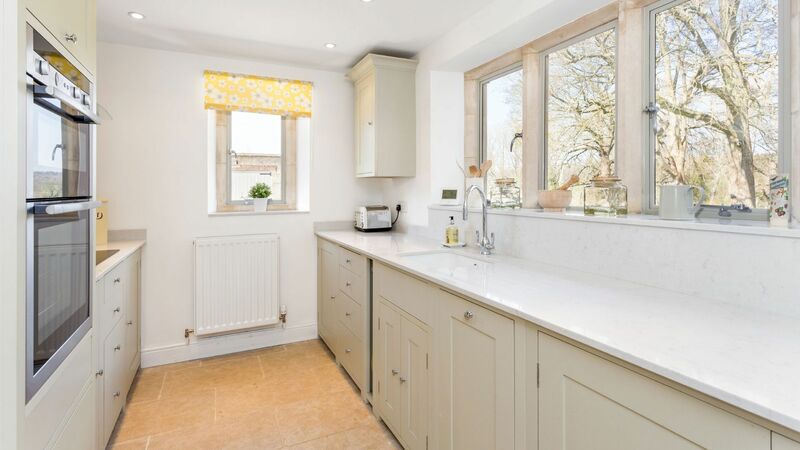 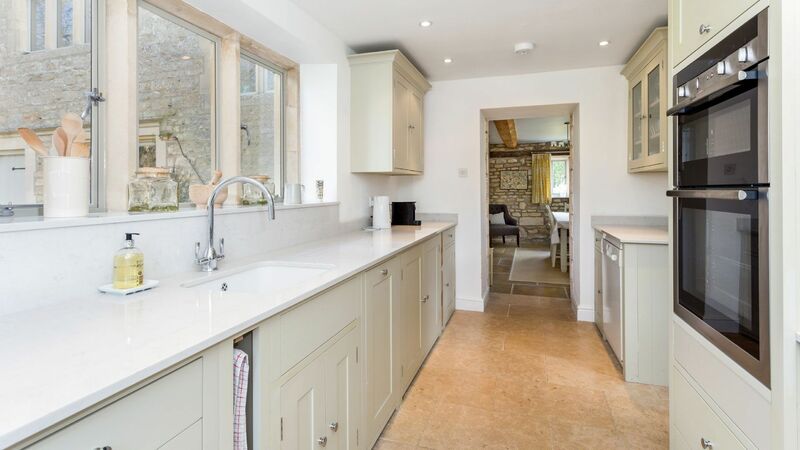 Elm Tree Cottage is an impressive Grade II listed detached property that has been considerately renovated to provide a fantastic family Cotswold holiday home. 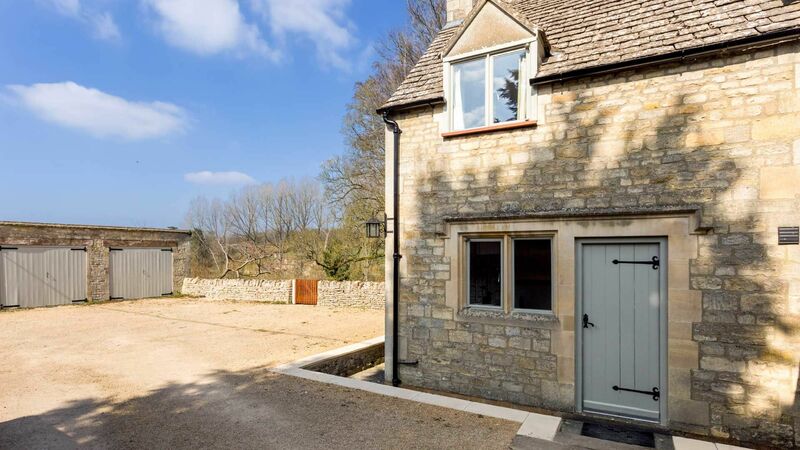 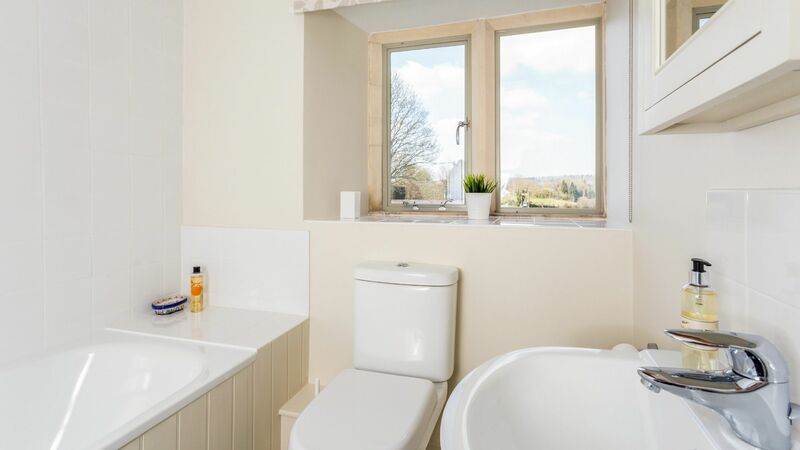 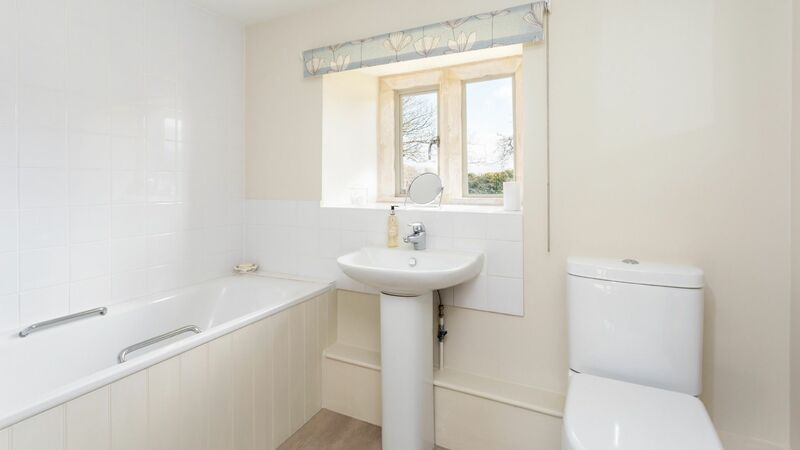 The cottage is located in the idyllic village of Sherborne and backs on to the Sherbourne National Trust Park Estate boasting spectacular 360 degree views of the surrounding countryside. 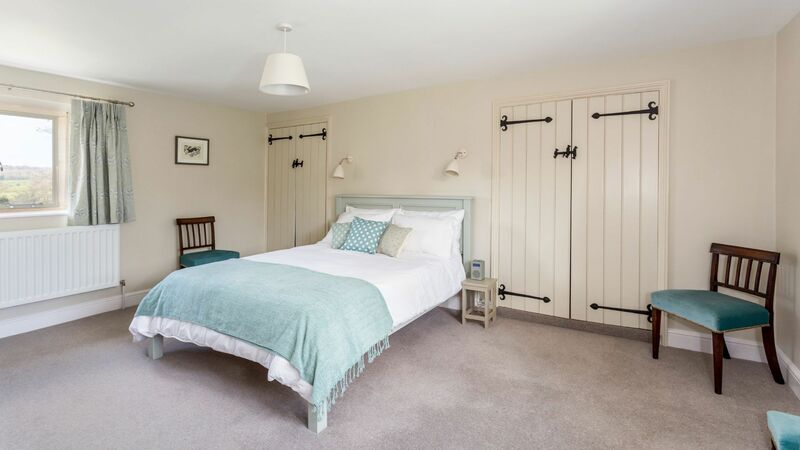 Originally built in the mid 17th Century, the cottage has been refurbished to retain many of the original features. 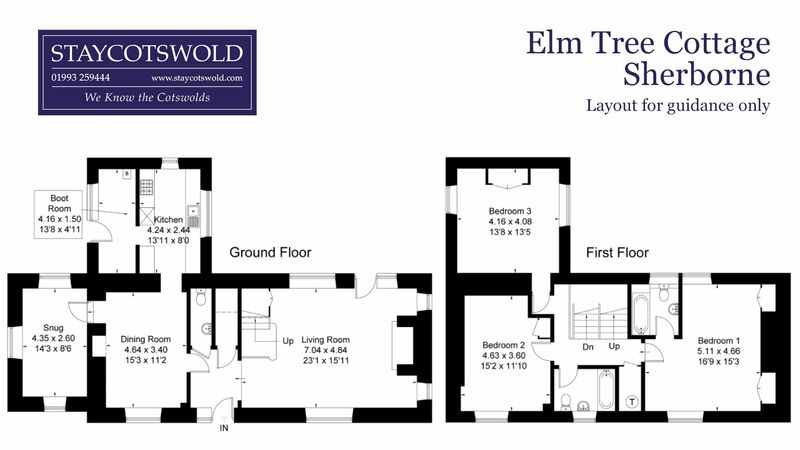 Upon entering Elm Tree Cottage you will find the boot room/utility room with fitted washing machine, tumble dryer, microwave and large fridge/freezer which then flows through to the newly fitted modern kitchen equipped with double oven, ceramic electric hob, dishwasher and Nespresso coffee machine. 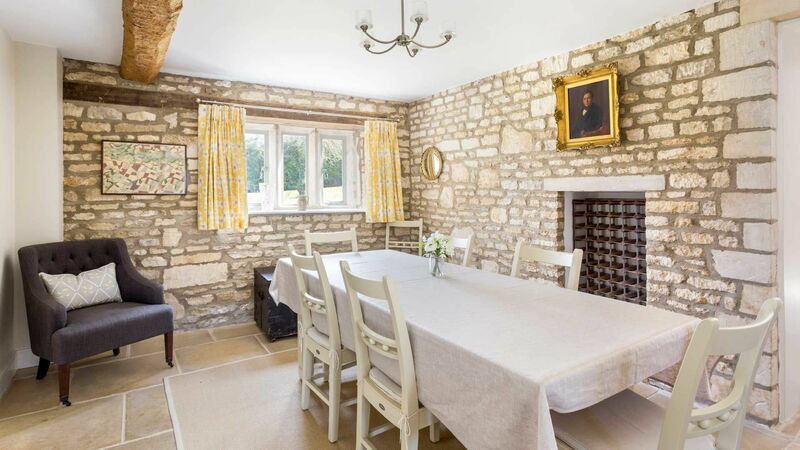 The dining area can seat up to 8 guests comfortably and leads through to the living area which has comfortable sofas and arm chairs placed around the open fire and TV making the room extremely comfortable and cosy. 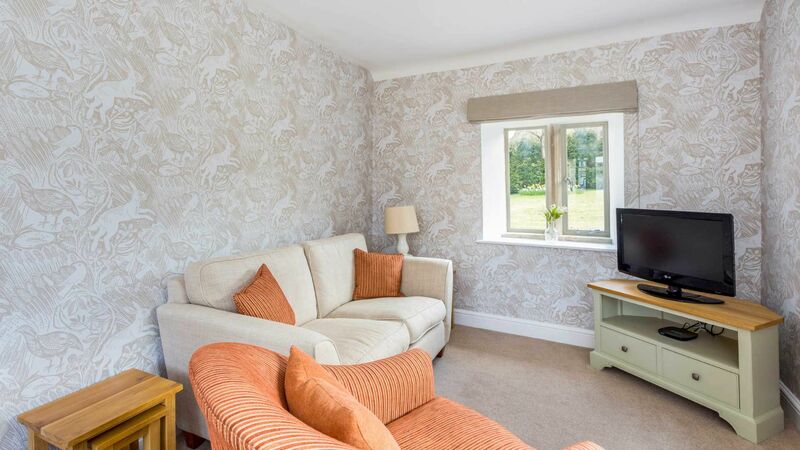 There is also a smaller snug room with TV featuring NOW TV box and separate downstairs loo. 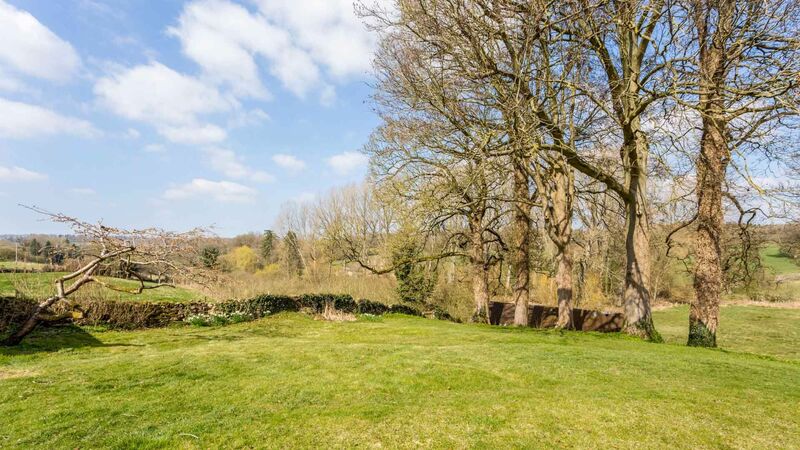 Large open garden that surrounds the cottage and rolls into the stunning countryside. 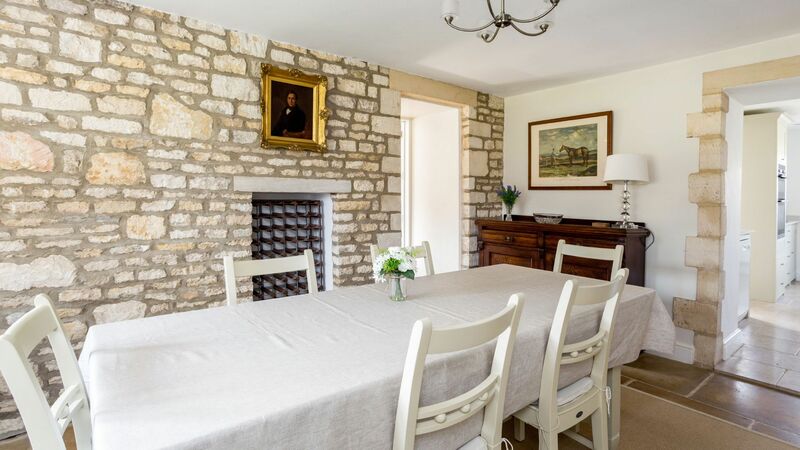 Table, chairs & BBQ to enjoy during the summer months. 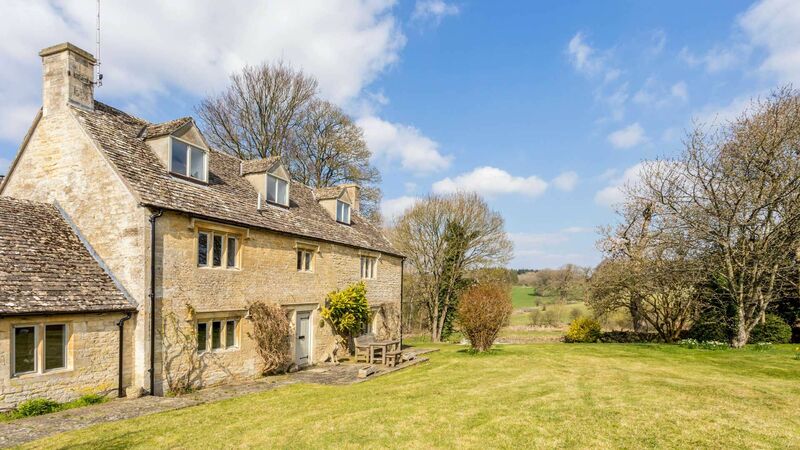 Sherborne is a village and civil parish almost 3.5 miles east of North Leach in Gloucestershire. 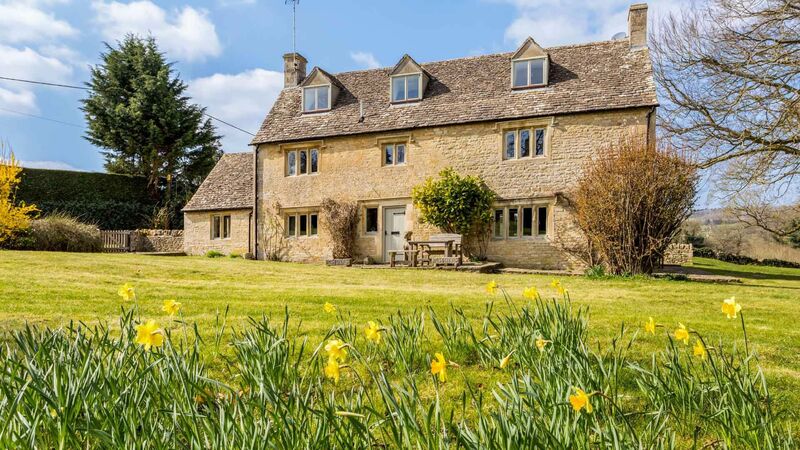 Sherborne is a linear village, extending more than a mile along the valley of Sherborne Brook, a tributary of the River Windrush. 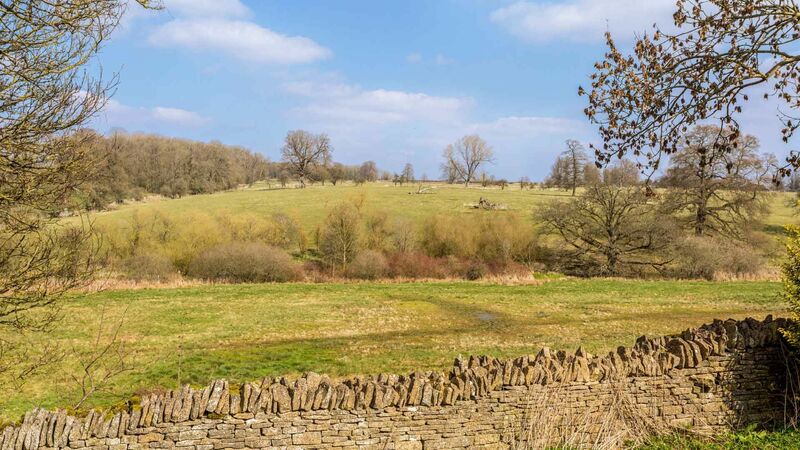 Sherborne national trust park estate sits to the rear of the property and there are several walking routes on the estate that you can enjoy,as well as a wide array of wildlife! 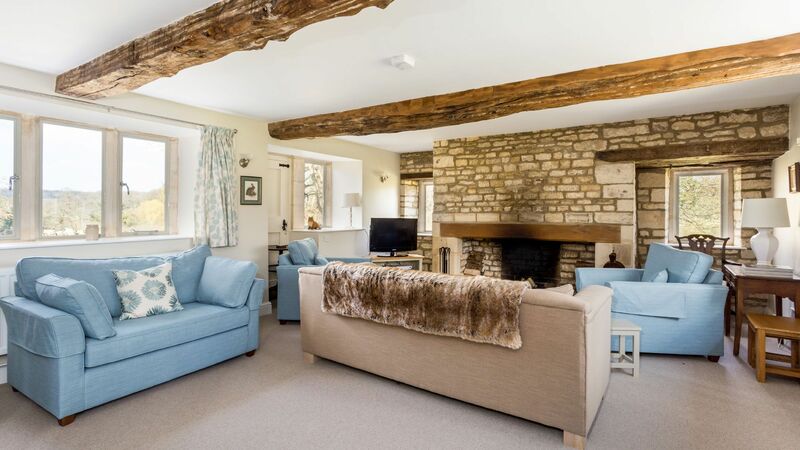 There are some great gastropubs close to Elm Tree Cottage, including The Victoria Inn at Eastleach, The Five Alls at Filkins and The Swan at Southrop. 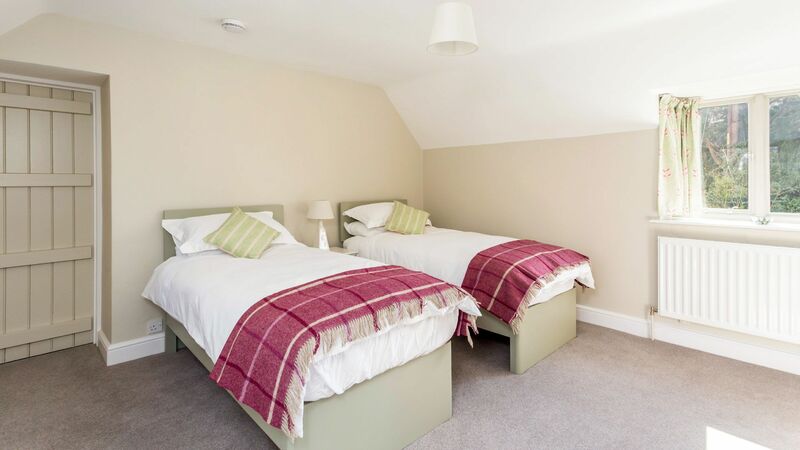 Just 5 minutes down the road, you will find the village shop and coffee shop. 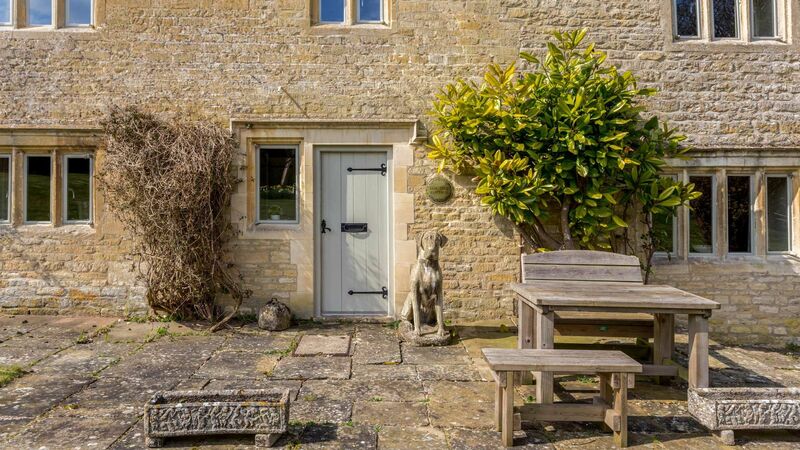 Places to explore nearby include The Cotswold Wildlife Park, Cotswold Water Park, and the historic market towns of Burford and Lechlade.